By popular demand after the workshop in Michaelmas term, we are delighted to offer another opportunity to learn about digital editing and the Text Encoding Initiative. Research Technology Consultation, IT Services and the Centre for Digital Scholarship offer a course introducing the Guidelines of the Text Encoding Initiative for creating digital texts. 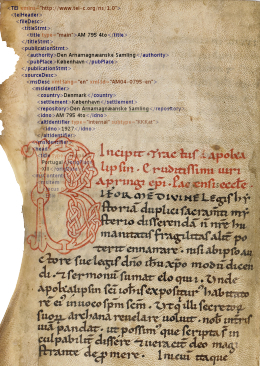 The workshop uses materials developed for the Digital Humanities at Oxford Summer School. If you’re interested in learning about markup and encoding digital editions, this course is for you! 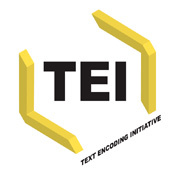 This two-day workshop balances introductory-level lectures with hands-on practical sessions to introduce and survey the recommendations of the Text Encoding Initiative (TEI) for creation of digital text. You don’t need any previous experience with digital text or markup: we provide introductions to markup, XML, and the infrastructure of the TEI P5 Guidelines. The TEI Guidelines are suitable for encoding any sort of text, in any language or writing system, but examples will mostly been drawn from projects the tutors have worked on. The workshop covers general metadata, the transcription and description of manuscripts, and metadata concerning the names of people, places, and organizations. This is aimed at beginners, and the workshop alternates between lectures surveying a topic and hands-on practicals giving you a chance to practise what you have learned. There will also be time for discussion of participants’ own projects. Participants are requested to bring a laptop with the latest version of oXygen XML Editor. As a member of the University, using your Single Sign On you can download this software and the required licence free of charge, via IT Services’ Software Registration and Download. If you cannot bring a laptop with you, please let us know before the day. James Cummings is a Senior Academic Research Technology Specialist for IT Services at the University of Oxford. James is founding Director of the annual Digital Humanities at Oxford Summer School and is an elected member (and previously chair) of the TEI Consortium’s Technical Council. His PhD was in Medieval Studies from the University of Leeds and he was Director of Digital Medievalist (2009–2012). Pip Willcox is the Head of the Centre for Digital Scholarship at the Bodleian Libraries, and a Senior Researcher at the University of Oxford e-Research Centre. With a background in scholarly editing and book history, she has sixteen years’ experience working on TEI-compliant editing projects, including Early English Books Online Text Creation Partnership, the Shakespeare Quartos Archive, the Stationers’ Register Online, and the Bodleian First Folio. She serves on the Text Encoding Initiative Consortium Board of Directors and the Advisory Board for Digital Renaissance Editions. This entry was posted in digital humanities, digital scholarship, workshops and seminars by Pip Willcox. Bookmark the permalink. Pip Willcox is the Head of the Centre for Digital Scholarship at the Bodleian Libraries, University of Oxford and holds a research post at the University of Oxford e-Research Centre.